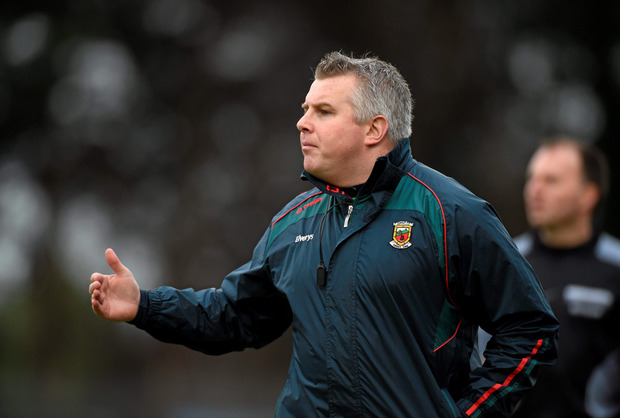 RTÉ pundit Bernard Flynn says that Mayo manager Stephen Rochford deserves more scrutiny following the county's early exit from this year's championship. After reaching the All-Ireland final in Rochford's first two years in charge - losing to Dublin by a point in both 2016 and 2017 - Mayo were eliminated following a defeat to Kildare in round three of the qualifiers this year. Mayo also lost in Connacht to Galway for the third straight year. Mayo's backroom team has already seen significant change since the loss to Kildare with Donie Buckley, Peter Burke and Tony McEntee departing. However, speaking on RTÉ 2FM's Game On, Flynn said that Rochford should come under pressure too and that more young players should have been blooded before the championship. "I’m surprised the same Mayo management is there," Flynn said. "They still have the ability to come back with a few new players. They were a team that should have integrated young players. "Why has Stephen Rochford not integrated young players in the last couple of years with good underage teams? He is probably a manager who has got away with murder. "The Mayo players probably can’t open their mouths about management at the moment because they chose the manager." Rochford came into the role after the Mayo players launched a heave against joint-managers Noel Connelly and Pat Holmes following their exit from the 2015 championship.